A few days ago my girlfriend needed to get to the other side of town. She needed to get there in about 20 minutes, and for one reason or another she couldn’t take her own bike. “What ever shall we do?” she despaired, half-fainting as the back of her hand met her forehead. “Fear not pumpkin,” I replied heroically, rising from my seat and gesturing towards my bike, “for I can give you a lift”. Having lived in Amsterdam for the past year, this solution was both obvious and intuitive to me. 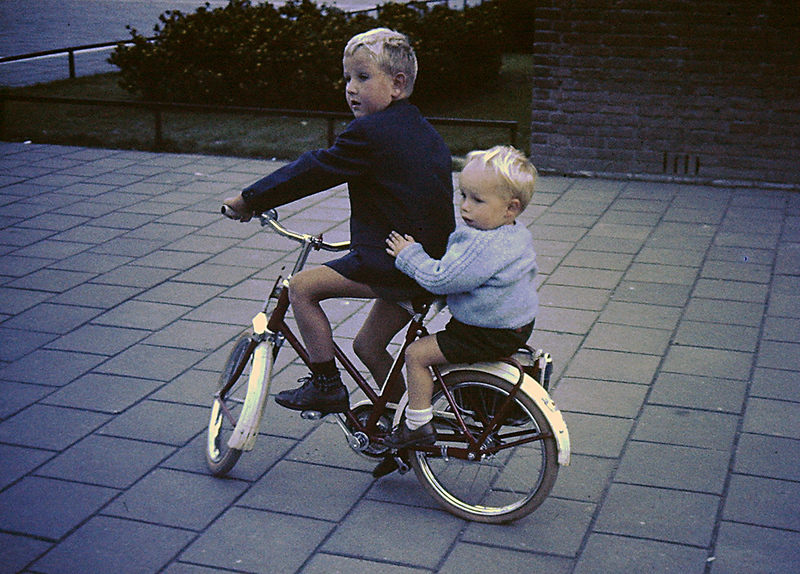 Giving bicycle lifts was STANDARD PRACTICE in the Netherlands, and it is such a common occurrence as to be an almost mundane part of everyday life for the typical Dutchman. At any rate, giving her a lift would provide an opportunity to test out my hub gears and roller brakes with a ‘loaded’ bike. * So we saddled up and hit the road. We’d done this a million times in Holland, and were familiar with the dynamics of travelling with a 2:1 ratio of humans to bikes. That said, and in spite of the fact that we were in a hurry, my girlfriend is kinda important to me, and so I was cycling with all the heightened awareness and care of a new parent. In addition to this, if ever I do anything even vaguely dangerous on the bike I am met with the alarm call of “Egg on board! Egg on board!” because a few years ago I referred to her a ‘precious egg’ and she reasoned that “we wouldn’t want to endanger an egg of such rare and exquisite value by cycling dangerously”. Oh, no no. The bike itself performed admirably. The sturdy steel frame held everything together and felt just as solid and responsive as usual (most bikes tend to feel increasing like a wet noodle as you add weight to them). Even Edinburgh’s hills were no match for the 8-speed Nexus hub, and although I will admit that it did require a substantial and sustained effort to get us up some of the bigger hills, I would also add that this was only because we were in a hurry – had we been out for a simple joy-ride on a sunny afternoon then I would have dropped it into first gear and just pootled along a walking pace. The Shimano roller and coaster brakes also performed superbly; even when we were going downhill there didn’t seem to be any loss of power due to overheating (a common problem with older versions). The last thing that I want to mention about our journey is that although we did turn a surprising number of heads (two people on a bike – is it really so novel? ), I can happily report that people seemed pretty positive about us. For the most part we were seen for what we were: just a guy giving a girl a lift – albeit in a rather ‘eccentric’ fashion by UK standards. Quite a few people even thought we were cute, and (according to Kristina) one girl quite openly chastised her boyfriend for never doing anything so romantic (sorry dude). Others – a minority – looked on with disapproval, but the unfamiliar is often greeted with suspicion and distrust, and I’m sure that they’ll catch on eventually. All things considered it was a great experience. Of course, it would have been better if we’d had segregated cycle paths, better quality road surfaces, and more considerate drivers, but I will address those issues elsewhere. 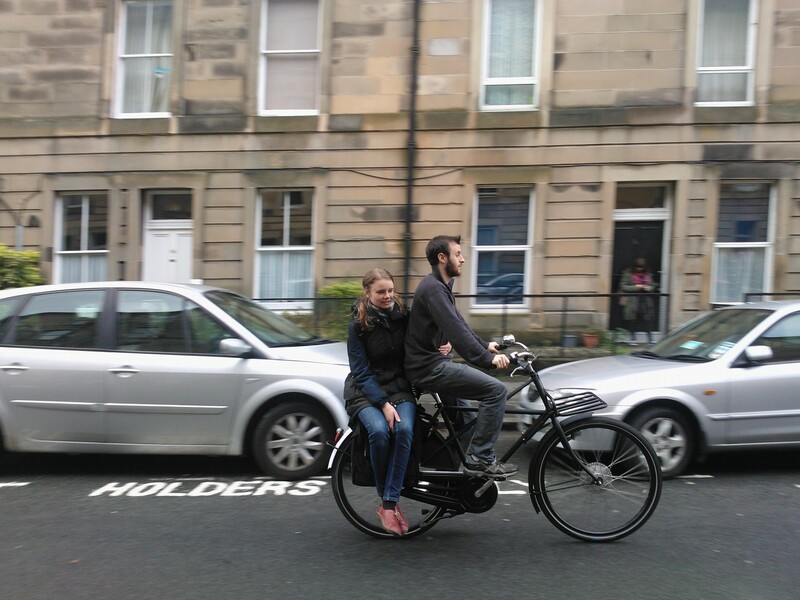 The point is, we did it: we brought a little bit of Dutch cycling culture to the streets of Edinburgh and it was fine. We’ll keep it up, and I’ll keep you posted. * please don’t tell my girlfriend that I referred to her as a ‘load’. She’s really very svelte. This entry was posted in Alternatives to Cars, cycling, Dutch Bikes, recreation and sports, transport, UK, Utility Bikes and tagged Amsterdam, bicycle, cycling, Dutch bike, Edinburgh, Holland, Hub gear, Recreation and Sports, roads, romantic, Shimano, transport, UK. I don’t have a car. I don’t even have a driving licence. It might seem crazy to some, but I don’t feel deprived because of either of these things. I’ve been using bikes as my primary means of transportation for the last 13 years, and for longer journeys I just put my bike on the train. It really is just that simple. 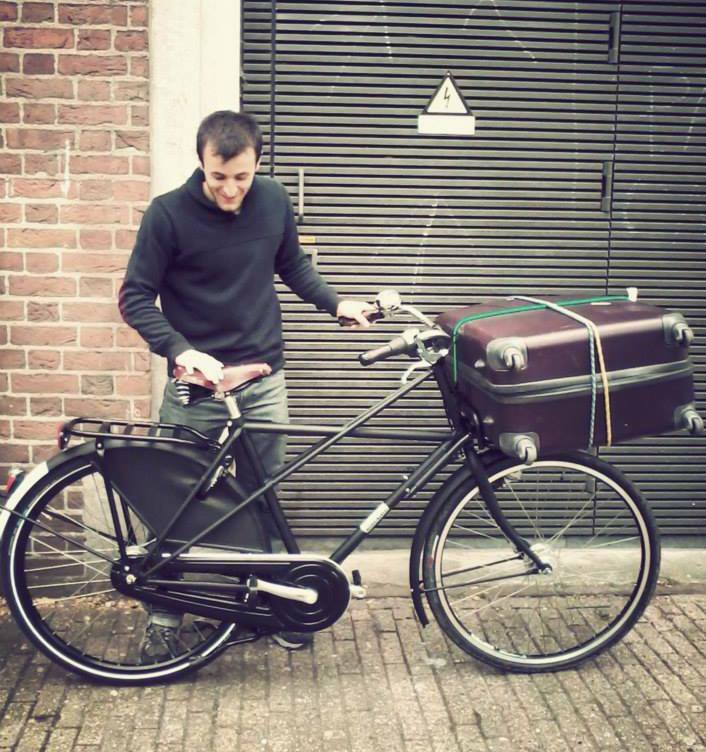 The ‘pastoorsfiets’ (or ‘priest bike’) in the picture is my pride and joy, and also my reason for starting this blog. I spent most of 2012 living in Amsterdam, and I learned a great deal about how cycling can be a cheap/viable/safe/fun/sustainable transport option for an entire city so long as there is good infrastructure in place, laws to protect cyclists, and a positive attitude towards cycling amongst the population. We typically lack these things in the UK, but in my lifetime I hope to see that change; in fact, I intend to effect that change as much as possible. 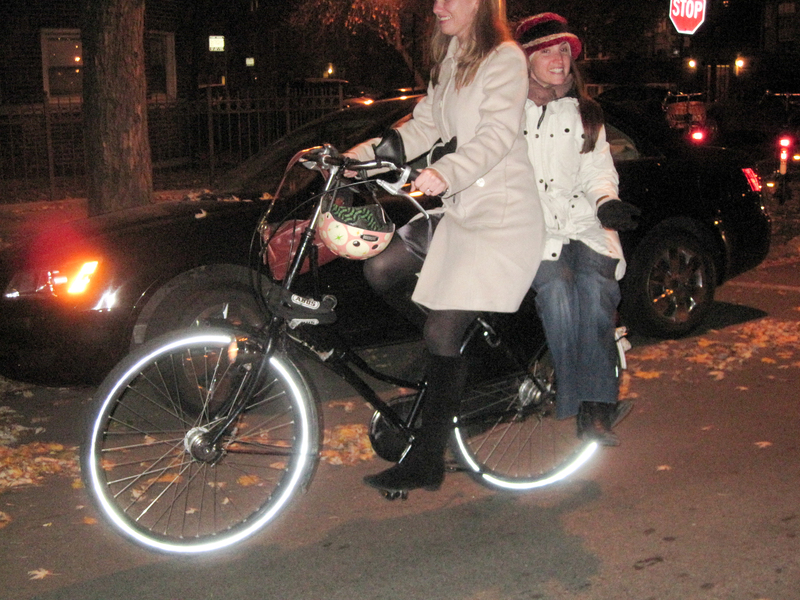 Over the coming weeks and months, I would like to share with you all that I have learned about bikes, and how car ownership is largely unnecessary and often a limiting factor on the quality of life for many people living in urban areas. 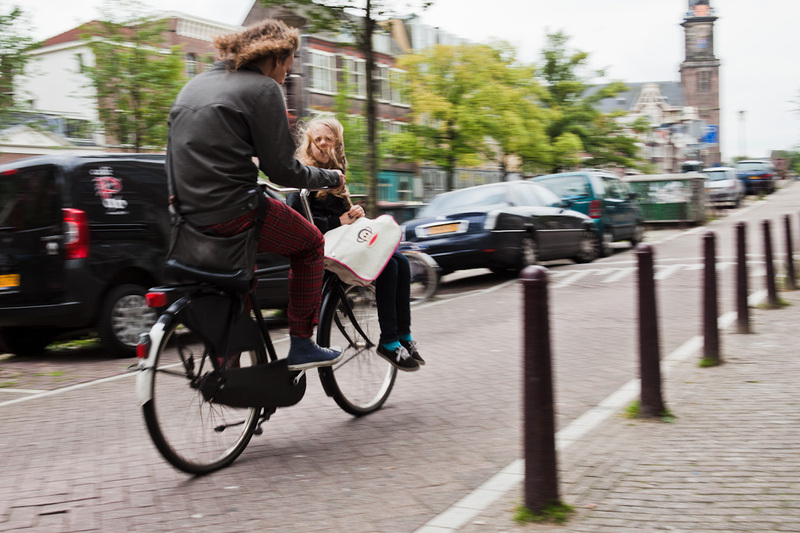 Alongside this aim, I intend to use this blog to talk about Dutch utility bikes, how they are different from what we are used to in the UK, and how they really can replace cars for many people (especially young families). My ultimate goal is to start a business importing/building Dutch-style utility bikes for a UK market, as I believe that this might be the key ingredient that is currently holding back a real revolution in British cycling. If people are supplied with the right tools to enable them to give up their cars, then maybe the changes will snowball and we can all flourish in the two-wheeled utopia that follows. To get the ball rolling on this one, I’d like to invite you to take part in a supremely basic poll. In short: what do you think of my proposal? All constructive/supportive advice or critical/brutal opinions will be appreciated. This entry was posted in Alternatives to Cars, Commuting, cycling, Dutch Bikes, Dutch Cycling, transport, UK, Utility Bikes and tagged Amsterdam, bicycle, cycling, Dutch, Dutch bike, Edinburgh, happiness, moving home, Netherlands, pastoorsfiets, Recreation and Sports, Shopping, Sports, transport, U.K., United States, utility bike.